A team of archaeologists analysed satellite images on Google Earth and proceeded to carry out excavations and fieldwork along the northwestern coast of Africa and deeper into the desert as part of the Western Sahara Project. The research was conducted by a team of archaeologists from the University of East Anglia between 2002 and 2009 in the territory, which is partially controlled by Morocco and the Sahrawi Arab Democratic Republic. The findings, as reported by Live Science, were published in The Archaeology of Western Sahara: A Synthesis of Fieldwork book. The team of archaeologists discovered that the stone assemblages come in a variety of ways, shaping crescents, circles, straight lines, and sometimes being piled in heaps. These complexes date back 10,000 years, and their purpose is mired in mystery. The archaeologists suggest, however, that some of them could be burial mounds, as many of the excavated sites contained nearly 1,500-year-old buried human bodies. According to Live Science, the fieldwork has been suspended due to local security concerns, with terrorists from al-Qaeda in the Islamic Maghreb preventing scientists from working safely. 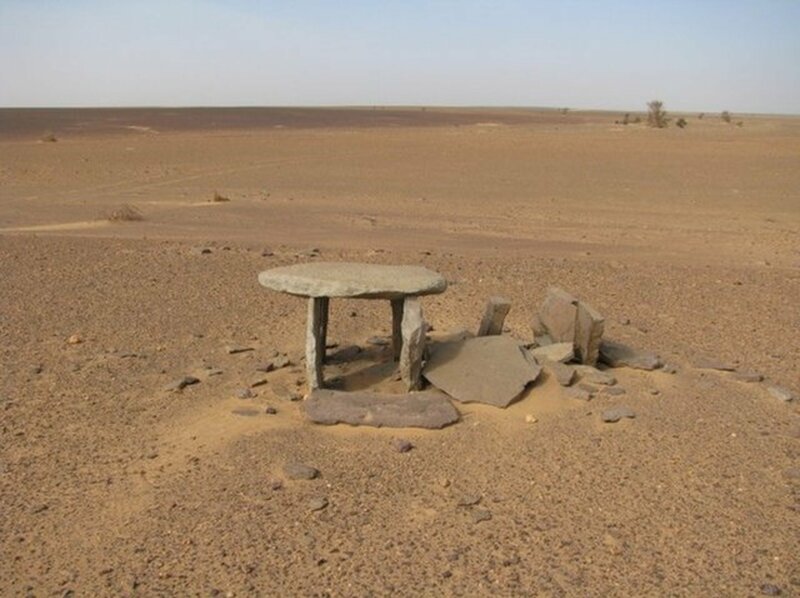 "The archaeological map of Western Sahara remains literally and figuratively almost blank as far as the wider international archaeological research community is concerned, particularly away from the Atlantic coast," the co-authors wrote.